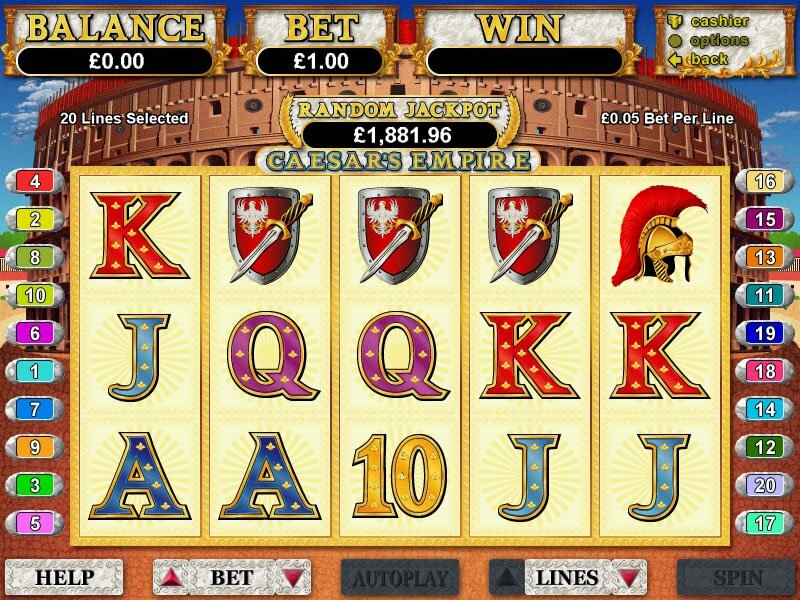 While the Caesar's Empire RTG slot is one of the oldest from this particular developer, it is still one of the most popular. The theme, as you might expect, is based on ancient Rome and features all of the icons to reflect that set against a view of the Coliseum as it is thought to have appeared in those days. You'll see warriors' helmets, baskets of food, shields, weapons and more across the five reels and 20 different paylines. In comparison with a similarly-themed option known as The Legend of Olympus, the differences are immediately noticeable. The graphics in Caesar's Empire are obviously a bit dated and the only real feature other than the wild is the free spins round. However, in The Legend of Olympus, you will find beautiful graphics, even more free spins, a second-screen bonus round, and even a gamble feature that will allow you to double your money if you choose the right color card. If you're interested, you can try the free play demo right here on this page which requires no payment and no download. If you like what you see, be sure to bookmark the page so that you can come back later. You can rate the title, leave us some feedback, and even share the bookmark link with friends and family via your Facebook or Twitter accounts if you think they'll enjoy the game. Finally, there are plenty of different casinos out there offering up this title for real money, too.